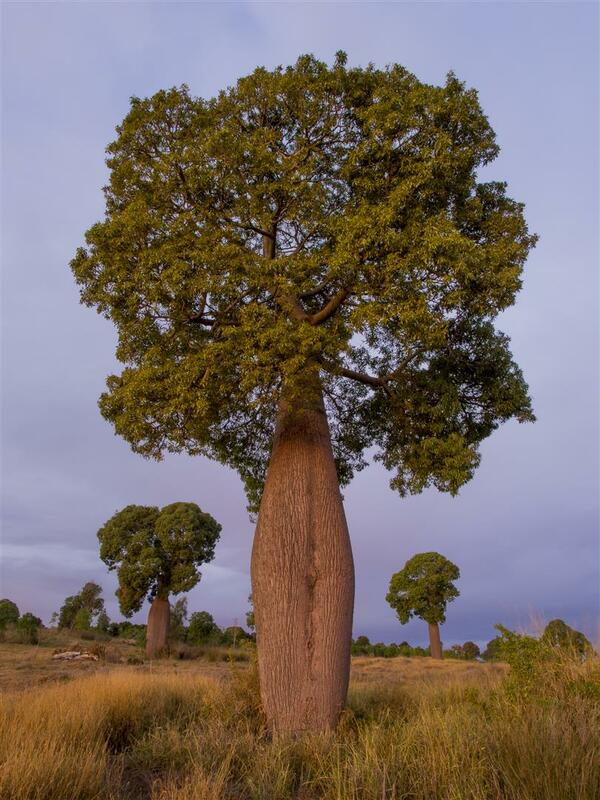 The Queensland Bottletree, also known as the Narrow-leaf Bottletree or Kurrajong, is a fascinating plant. 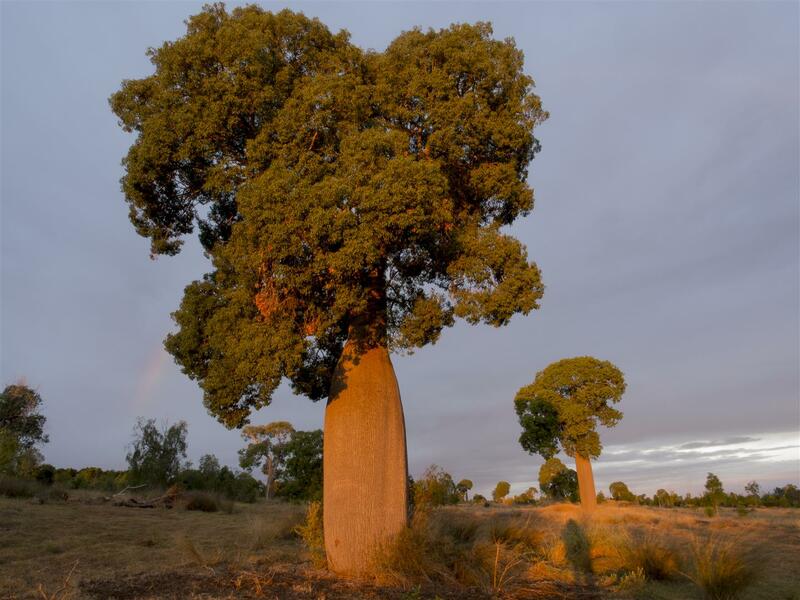 I’ve admired them deep within the shaded interior of remnant dry vine scrub, standing alone in cleared farmland like ancient sentinels, and lining the streets of Brisbane and Roma. 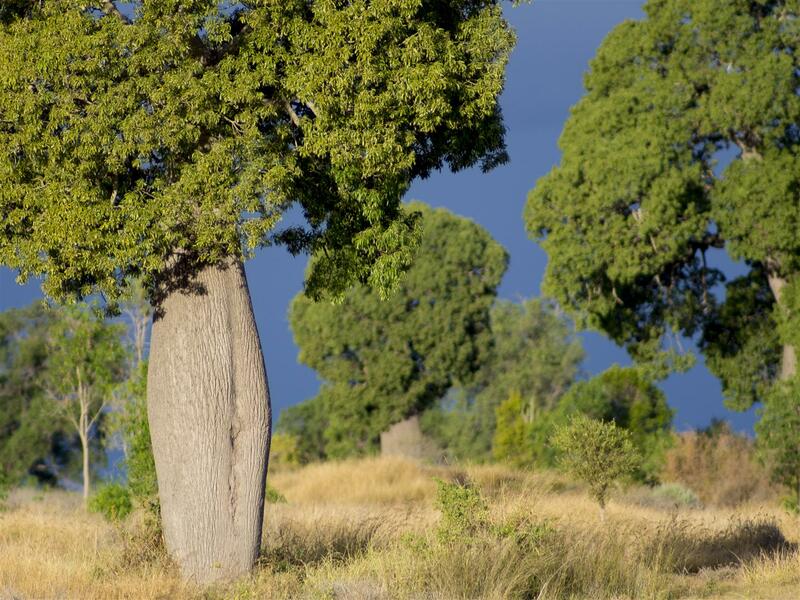 They are an intriguing tree to a photographer, as their furrowed bark seems to soak up the light and their bright foliage stands out among the drab greens of central Queensland. 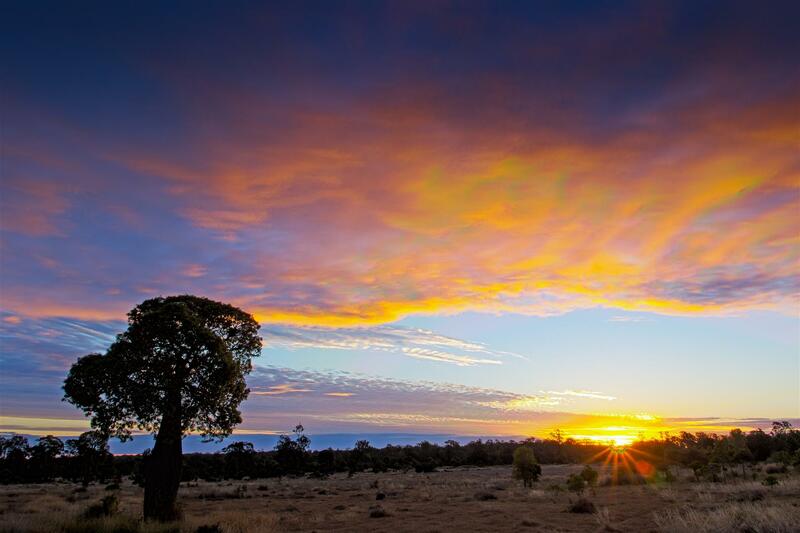 These images were taken at a friend’s property, Highwoods, on the Darling Downs. 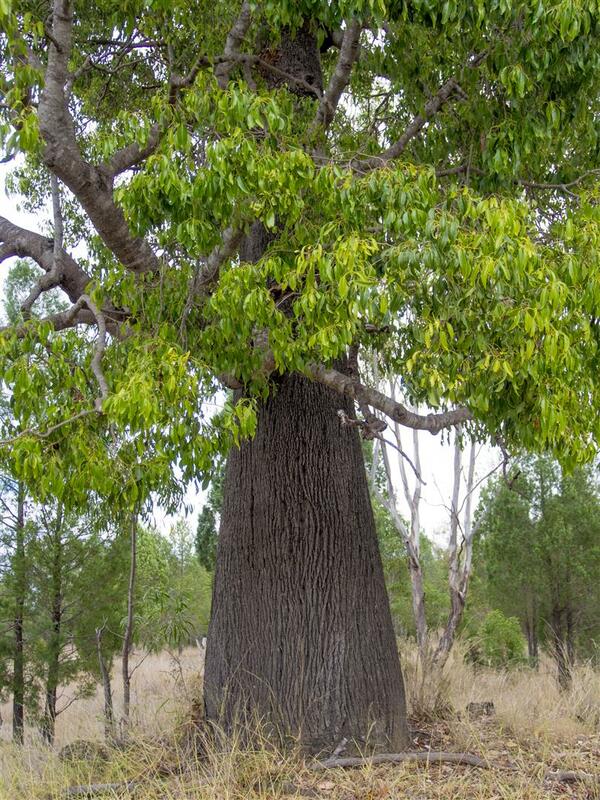 Queensland Bottletrees (Brachychiton rupestris). Highwoods, Darling Downs. 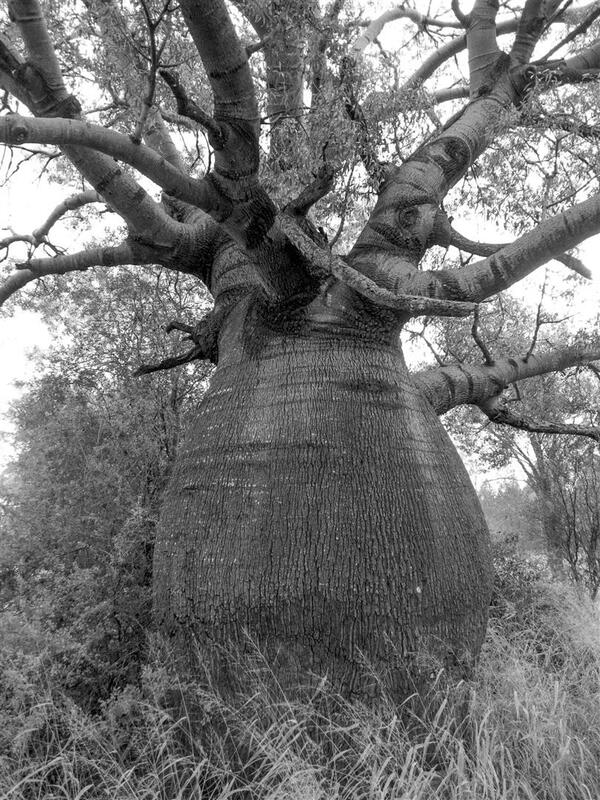 This species is found from central Queensland down to northern New South Wales. 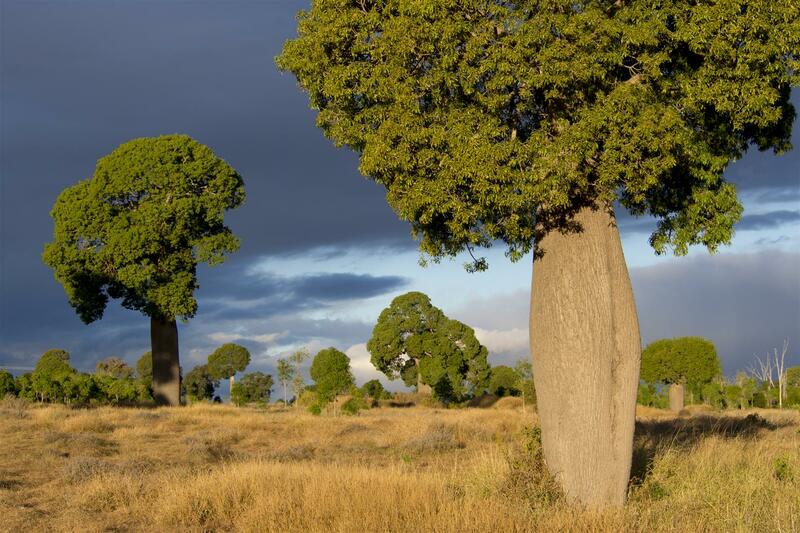 This is a hardy tree, which tolerates a wide variety of climates and soil types. 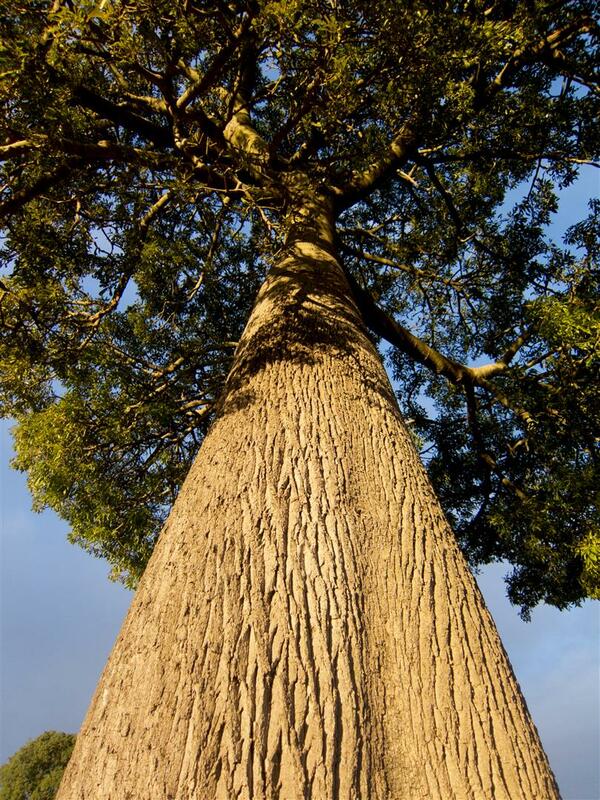 Queensland Bottletrees have been cultivated in southern Australia for many decades and can be seen as an ornamental plant around the world. Thanks to Martin for the chance to spend some time at Highwoods.